Jehovah God tells us clearly in the Old Testament: “I, even I, am Jehovah; and beside me there is no savior” (Isaiah 43:11). “Jehovah … is my name for ever, and this is my memorial to all generations” (Exodus 3:15). And yet it says in the New Testament: “Neither is there salvation in any other: for there is none other name under heaven given among men, whereby we must be saved” (Acts 4:12). “Jesus Christ the same yesterday, and to day, and for ever” (Hebrews 13:8). It says in the Old Testament that only Jehovah is God’s name and thus it shall be forever. In the New Testament, however, it says that one can only be saved by the name Jesus. Since God’s name Jehovah in the Age of Law was to be His name forever, why then was God called Jesus in the Age of Grace? How are we to understand the word “for ever” as mentioned here in the Bible? What truths and mysteries are hidden behind God’s names? Let’s fellowship about this now. Why Did the Name Jehovah Become Jesus? It is clearly recorded in the Bible that the name Jehovah would last forever and to all generations. But when the Lord Jesus came to perform His work of redemption, the name Jehovah was no longer mentioned. Everyone prayed and called on the name of the Lord Jesus, and they sanctified the name Jesus. To us, it seems as though there is a contradiction within these different parts of the Bible, but in fact there is no contradiction. This is because the words “to all generations” and “for ever” spoken by God, were spoken in relation to the work in that age. As long as God’s work in that age was not yet complete, then His name in that age would not change, and all who followed God had to hold to God’s name in that age. Only in that way could they obtain the work of the Holy Spirit and live under the care and protection of God. But when God began a new age and launched a new work, God’s name also changed along with it. When that happened, only by accepting God’s new name and praying in God’s new name could people receive God’s approval and obtain the work of the Holy Spirit. In the Age of Law, for example, God’s name was Jehovah, and by holding to the name Jehovah and adhering to the laws and commandments proclaimed by Jehovah, people could then receive God’s blessings and mercy. When the Lord Jesus came to perform His work, however, He began the Age of Grace and ended the Age of Law, and if people still held to the name Jehovah and refused to accept the Lord Jesus’ name, then they were detested and rejected by the Holy Spirit, and they lived in darkness. Those who accepted Jesus as their Savior and prayed and called on the name Jesus, such as Peter, Matthew and the Samaritan woman, obtained the work of the Holy Spirit and attained the Lord’s salvation. Evidently, God’s name is not unchangeable, but rather it changes as God’s work changes. Perhaps some people will still be feeling a little confused, wondering how God’s name can change, when it says in the Bible “Jesus Christ the same yesterday, and to day, and for ever.” We will now fellowship about how to understand the words “for ever” that are written in the Bible. Actually, “for ever” means that God’s essence and disposition are immutable; it does not mean that God’s name will never change. God’s words say: “There are those who say that God is immutable. That is correct, but it refers to the immutability of God’s disposition and His substance. Changes in His name and work do not prove that His substance has altered; in other words, God will always be God, and this will never change. … If the work of God is unchanging, then could He have led mankind all the way to the present day? If God is immutable, then why is it that He has already done the work of two ages? … God is not as simple as man imagines, and His work cannot linger in any one age. Jehovah, for example, cannot always stand for the name of God; God can also do His work under the name of Jesus. This is a sign that God’s work is always moving in a forward progression” (“The Vision of God’s Work (3)”). “God is always God, and will never become Satan; Satan is always Satan, and will never become God. God’s wisdom, God’s wondrousness, God’s righteousness, and God’s majesty shall never change. His essence and what He has and is shall never change. As for His work, however, it is always progressing in a forward direction, always going deeper, for He is always new and never old. In every age God assumes a new name, in every age He does new work, and in every age He allows His creatures to see His new will and new disposition” (“The Vision of God’s Work (3)”). God is ever new and never old, His work moves ever onward, and His name changes as His work changes. But no matter how God’s work or God’s name changes, God will forever be God, and His disposition and essence will never change. God’s name in the Age of Law was Jehovah, and His name was Jesus in the Age of Grace, but no matter how His name may change, it only ever changes for the sake of saving mankind. God’s purpose to manage mankind does not change and His essence does not change—it is only ever one God who performs His work. 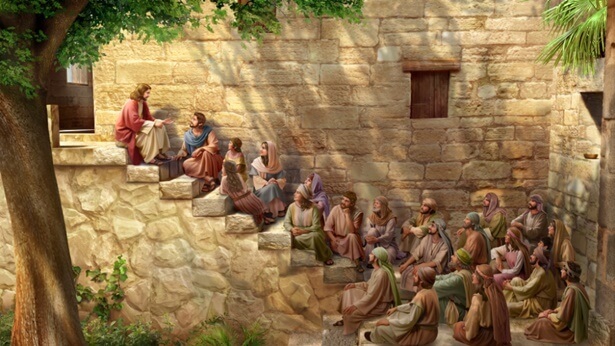 However, the Pharisees back then failed to understand that God’s name had changed with the shifting of the ages and the transformation of God’s work, and they clung to the statement that “Only Jehovah is God and there is no Savior besides Jehovah.” They believed that only Jehovah was their God, their Savior, and so, ultimately, when God came to perform His work of redemption using the name Jesus, they did not seek to discover whether the words spoken by the Lord Jesus were the expressions of truth or whether the work the Lord Jesus performed was the work of God Himself, but instead they relied on their arrogant natures and clung stubbornly to their own misconceptions, believing that if someone was not called Messiah, then He could not possibly be God. And so, they frantically condemned and resisted the Lord Jesus, and finally crucified Him upon the cross. By doing so, they committed a heinous sin, and thus were cursed and punished by God. We can see from the lesson of the Pharisees’ failure that, if we fail to understand the significance of God changing His name in different ages, and we deny God’s essence and deny that it is all the work of one God simply because God does a new work and has a new name, then we will become apt to resist God and commit acts which offend God’s disposition. Why Is God Called by Different Names in Different Ages, and What Is the Significance of God’s Name? God’s name actually arises because of His work to save mankind. In saving mankind, God performs different works and expresses a different disposition according to the needs of His work and depending on the age, and His name changes along with it. To say it another way, one name represents one age, and it represents one stage of God’s work and the disposition He expresses in that age; God uses His name to change and replace the ages. Just as God’s words say: “Why is it that Jehovah and Jesus are one, yet They are called by different names in different ages? Is it not because the ages of Their work are different? Could a single name represent God in His entirety? This being so, God must be called by a different name in a different age, and must use the name to change the age and to represent the age. For no one name can fully represent God Himself, and each name is able only to represent the temporal aspect of God’s disposition in a given age; all it needs to do is to represent His work. Therefore, God can choose whatever name befits His disposition to represent the entire age” (“The Vision of God’s Work (3)”). “One particular word or name does not have the capacity to represent God in His entirety, so do you think His name can be fixed? God is so great and so holy yet you will not permit Him to change His name in each new age? Therefore, in every age in which God personally does His own work, He uses a name that befits the age in order to encapsulate the work that He intends to do. He uses this particular name, one that possesses temporal significance, to represent His disposition in that age. This is God using the language of mankind to express His own disposition. … You should know that God originally had no name. He only took on one, or two, or many names because He had work to do and had to manage mankind” (“The Vision of God’s Work (3)”). Let’s now look at the significance of God taking the name Jehovah. God’s words say: “‘Jehovah’ is the name that I took during My work in Israel, and it means the God of the Israelites (God’s chosen people) who can take pity on man, curse man, and guide the life of man. It means the God who possesses great power and is full of wisdom. … The name Jehovah is a particular name for the people of Israel who lived under the law. 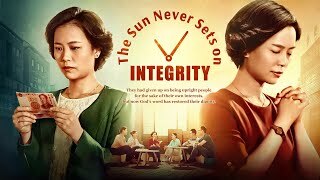 … ‘Jehovah’ represents the Age of Law, and is the honorific for the God worshiped by the people of Israel” (“The Savior Has Already Returned Upon a ‘White Cloud’”). “Jehovah” is the name God took when He performed His work in the Age of Law, and it represents God’s majestic, wrathful, cursing and merciful disposition. The people at that time did not know how to worship God, nor did they know how to conduct their lives on earth. Even though they did things that were wicked in God’s eyes, they were completely unaware of it, and so God, through Moses, proclaimed laws and commandments to guide mankind in their life on earth. He required man to adhere strictly to the laws and commandments, and He let them know how to worship God, and know what was good and what was sinful. If people kept the laws and commandments, then they were able to obtain the grace and blessings of Jehovah; if they violated the laws and commandments, then they were consumed by heavenly fire or stoned to death. 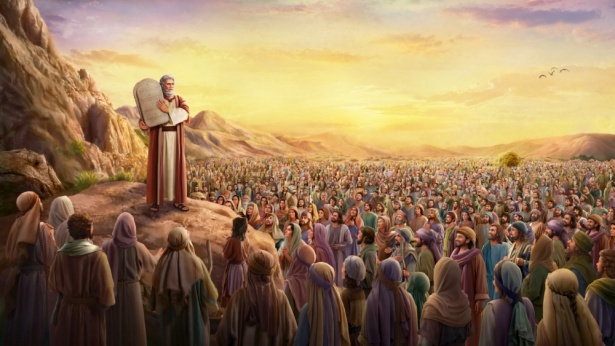 Under the guidance of Jehovah, the common folk of Israel honored the laws and exalted the name of Jehovah, and they were continually blessed and guided by God for thousands of years. In the Age of Grace, God’s name changed to Jesus, and herein also lies profound significance. God’s words say: “‘Jesus’ is Emmanuel, and it means the sin offering that is full of love, full of compassion, and redeems man. He did the work of the Age of Grace, and represents the Age of Grace…. 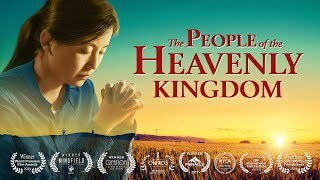 The name of Jesus existed to allow the people of the Age of Grace to be reborn and saved, and is a particular name for the redemption of the whole of mankind” (“The Savior Has Already Returned Upon a ‘White Cloud’”). At the end of the Age of Law, mankind was becoming more and more corrupted by Satan. They no longer kept the laws, there was no sin offering they could make that was enough to atone for their sins and they faced the danger of being condemned and sentenced to death by the laws at any time. In order to absolve man’s sins and enable man to live on, God incarnated upon the world as the Son of man, and He took the name Jesus to perform a stage of redemptive work and to express a disposition that prioritized love and mercy. The Lord Jesus was crucified upon the cross for mankind’s sake, thus taking upon Himself the sins of mankind and becoming a sin offering for mankind. As long as we accept the Lord Jesus as our Savior, and pray, confess and repent in the Lord Jesus’ name, then our sins are forgiven, our spirits become peaceful and at ease, and we are able to enjoy grace and blessings bestowed on us by the Lord. From this, we can see that each of God’s names represents the work God performs and the disposition He expresses in that particular age. When God performs new work according to the needs of mankind, God’s name changes along with it and, only by accepting His new name can we attain God’s further salvation. In the Age of Grace, for example, if God had come with the name Jehovah and not Jesus, then God’s work would have remained stuck in the Age of Law. People would have been unable to accept the Lord Jesus’ redemption, and the Israelites of the time would have been punished and cursed by God for offending the laws. Now is the end of the last days, and brothers and sisters are all earnestly longing for the second coming of the Lord Jesus, and they wait for the Lord to raise them up and welcome them into the kingdom of heaven. The Lord Jesus told us clearly: “I have yet many things to say to you, but you cannot bear them now. However, when he, the Spirit of truth, is come, he will guide you into all truth: for he shall not speak of himself; but whatever he shall hear, that shall he speak: and he will show you things to come” (John 16:12–13). And in chapters 2 and 3 of Revelation, it is prophesied many times that: “He that has an ear, let him hear what the Spirit says to the churches.” And chapter 1, verse 5 of the First Epistle of Peter says: “Who are kept by the power of God through faith to salvation ready to be revealed in the last time.” From these verses, we can see that the Lord has more to say when He returns in the last days, and that He will enable us to understand all truths and attain God’s salvation of the last days. So, when the Lord Jesus returns and appears in the last days to perform His work, His work will change, but will His name also change? Will He still be called Jesus when He returns? It is prophesied in Revelation that: “Him that overcomes will I make a pillar in the temple of my God, and he shall go no more out: and I will write on him the name of my God, and the name of the city of my God, which is new Jerusalem, which comes down out of heaven from my God: and I will write on him my new name” (Revelation 3:12). This passage of scripture says that God will have a new name when He returns in the last days and, seeing as He will have a new name, then He will not be called Jesus any longer. This requires us to have a God-fearing heart, and when God comes to do His new work and He has a new name, we must seek with an open mind and study conscientiously, and not delimit God’s name with our own misconceptions and imaginings. Only in this way will we have the chance to welcome the Lord’s return. Let us give thanks to God’s enlightenment and guidance, and may all the brothers and sisters who yearn for and seek God’s appearance soon be reunited with the Lord! Next：Do You Know About the Mysteries in the Lord’s Prayer? And yet it is prophesied many times in chapters 2 and 3 of Revelation that “He that has an ear, let him hear what the Spirit says to the churches.” If all of God’s words and works are recorded in the Bible, why then did God prophesy that He would speak more words in the last days? 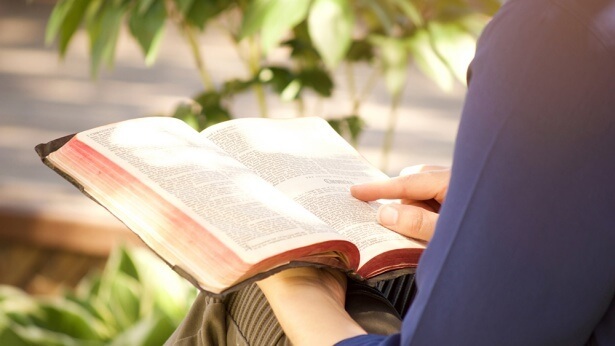 Are God’s words and works really all recorded in the Bible? When we get together in joyous gatherings to celebrate the Lord Jesus’ birth, do we understand the meaning of Christmas? 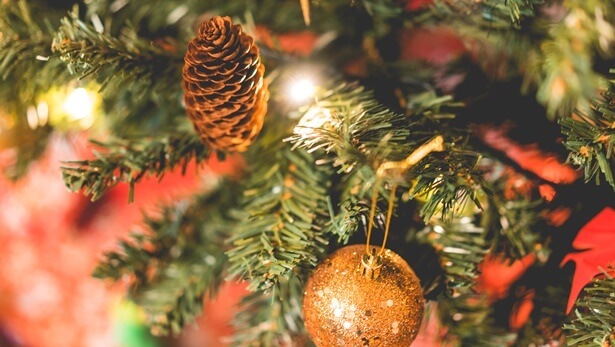 And how should we approach Christmas in a way that is after the Lord’s heart?